There are plenty of fun, engaging video game titles this holiday season to keep children on your gift list happy throughout the year. Below are some recommended titles. This MumboJumbo bundle includes five full PC games in a holiday stocking. The red stocking contains the following: Pure Hidden – Original, dynamic artwork and 1,000+ objects to collect in this peculiar world. Puppy LUV – Ready to meet you new best friend? Pick your pup and train him to be the best. Samantha Swift and the Mystery from Atlantis – An ancient treasure could hold the key to thawarting a villainous scheme. Hurry and recover the pieces! Nancy Drew and the Secret of the Scarlet Hand – A strange series of thefts has taken place, and the only clue is the scarlet hand. 7 Wonders Treasures of Seven – Match runes to break blocks and build the nine most intriguing structures throughout history. Kids ages 6-12 can co-host their own Big Sock Web Telethon as seen on the Emmy-nominated series, iCarly. The new software game program provides hours of fun and interactive game play, special game tool tips, cool rewards, exclusive performance feedback and five new animated comics. Mysterious boxes grow on the vines of the game tree, and inside each one you’ll find a hidden object, puzzles, logical games and interactive surprises. A tasty treat for your imagination, Pure Hidden presents original, dynamic artwork and more than 1,00 objects to collect as you explore this peculiar world. Four great games girls will love. This four pack is filled with exciting characters and games, including Farm Frenzy, GemShop, Ranch Rush and Tumblebugs 2! Farm Frenzy: Show Old MacDonald how it’s done! Tend to five cute animals as you collect eggs, bake cupcakes, make cheese and weave material in 45 levels of Farm Frenzy. GemShop: Run your own Gem Shop. Match red rubies, green sapphires and dazzling diamonds to make gorgeous pieces for your customers in this matching jewelry extravaganza. Ranch Rush: Rescue the Ranch! Harvest the fun. Help Sara turn three acres into a thriving Farmer’s Market Ranch. Harvest fresh produce, gather eggs, collect honey from bees, and much more in 80 fun-filled levels! Tumblebugs 2: Tumble must save her beetle buddies from the Black Bug Empire. It’s Dora’s birthday and you know what that means a fun-filled party with all her friends. 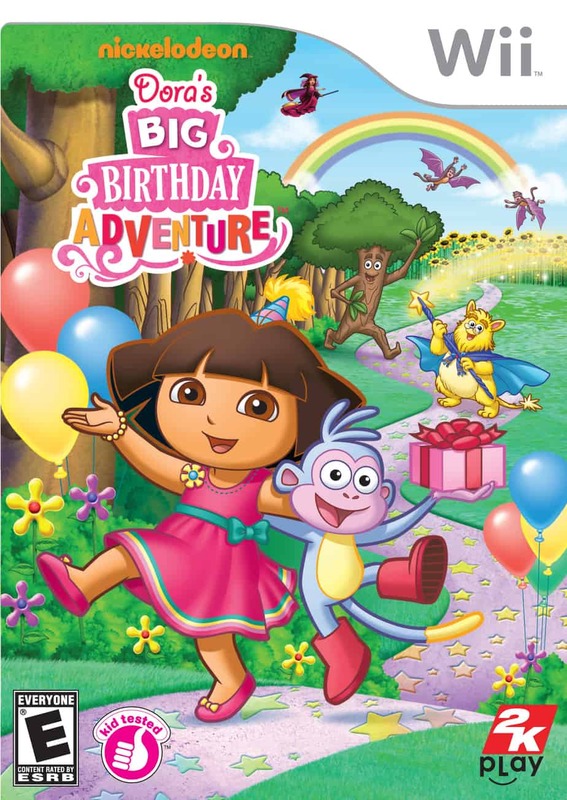 The only problem is Dora and Boots are stuck in storybook land and must go on an exciting, magical journey if they hope to make it to the party on time. 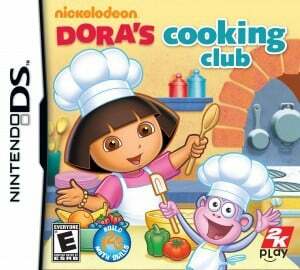 (Also available for the Nintendo DS and PS2). 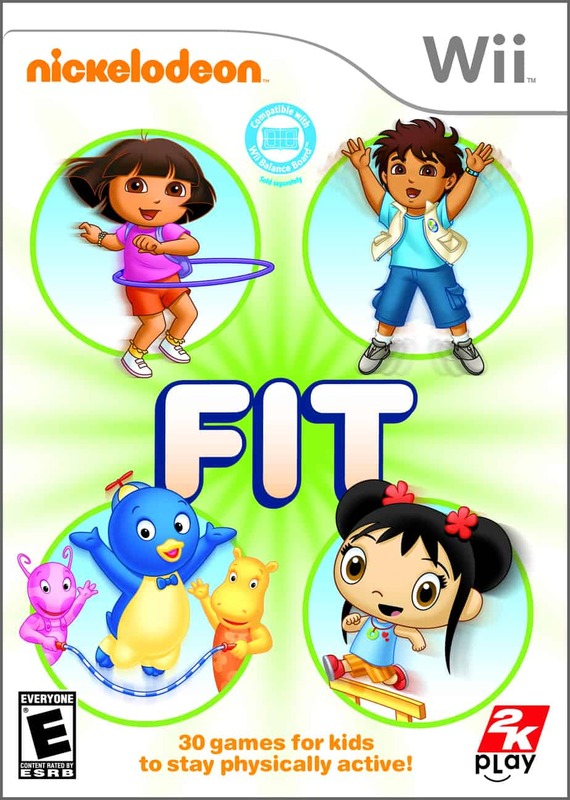 Designed in collaboration with Dr. Jackie Goodway, chair of the National Association of Sport and Physical Education (NASPE), Nickelodeon Fit is the one of the first fitness video games designed specifically for the preschool crowd. 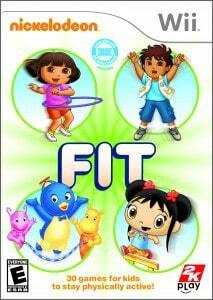 Featuring kids’ favorite Nickelodeon characters Dora, Diego, Kai-lan, and The Backyardigans, the game offers different exercises to choose from including hurdles with Kai-lan, jump rope with The Backyardigans, trampolining with Dora, skateboarding with Diego and more. There’s also a parental tracking feature to let parents get involved in their child’s fitness routine by creating custom work-outs and monitoring their child’s progress. Join Diego as you enter the imaginative world of Mega Bloks. Use Mega Bloks as you overcome obstacles, solve puzzles, explore exciting habitats, and rescue the stranded animals. It’s time to get cooking as Dora and her friends prepare for the Favorite Foods Festival. Use math, matching and super cooking skills to follow the recipes and create a variety of delicious dishes. Parents can even track their preschooler’s progress to check their child’s advancement in curriculum types including numbers, counting, shapes, patterns and measurement. Become a real estate mogul and take over the housing market as you construct, upgrade and sell houses for huge profits. You can flip houses for quick cash or sit back and watch the rental income pile up. Travel to scenic towns and perform special tasks for the local mayors, or toss out the blueprints and create your own dream neighborhood in Casual mode. The master of macabre, Edgar Allan Poe, leads you on a shadowy journey to finally solve the mystery of his death. As a famed mystery writer, you’re looking for your next cold case to crack when an unexpected visitor hands you the perfect case to get your career moving again..